Here at Channel, we are extremely aware of the plastic in our ocean and on our beaches. 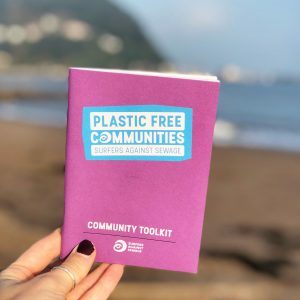 We are on the beach every day, it houses our passions and our livelihoods and when we heard that a plastic-free committee was forming in Minehead, we jumped at the opportunity to get involved! As a business, we feel that we have a huge part to play in keeping our coastlines clean and plastic-free. We have always worked to do this whether it’s a beach clean with our customers or taking half an hour to do a staff litter pick in the local area! 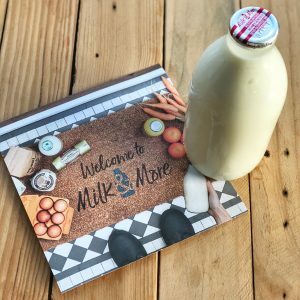 We stopped buying milk from the supermarket and signed up to our local milk delivery service – the milkman now delivers milk (in glass bottles) to our office twice a week. This is not only a great way to make a quick change to cut down on our single-use plastic consumption, but it also supports our local farmers and milkmen! We increased the number of recycling bins in the office and made them bigger! We now have 4 large recycling bins in our office, two for paper, one for glass and one for cardboard. We have encouraged all staff to bring their own mug to work as well as their own refillable water bottle. This discourages staff from buying single-use plastic water bottles as well as coffee-to-go on their way to work. As well as the above, we have also switched our cleaning products from conventional brands to sustainable, eco brands. We have partnered up with local business and now have a beach clean board outside our offices to encourage holidaymakers and passers-by to stop and do a 2-minute beach clean! We are aiming to become the first business in Minehead to make these three changes. We have submitted our request to the Surfers Against Sewage group and are awaiting our badge! Our next move is to pioneer the movement of local businesses going plastic-free! If we can make these simple changes then there is no reason why others should not. Contact us! We would love to see as many people from our local community get involved! Please do get in touch. Channel Adventure Ltd is part of the Channel Group. Website designed by First Design Print Web.